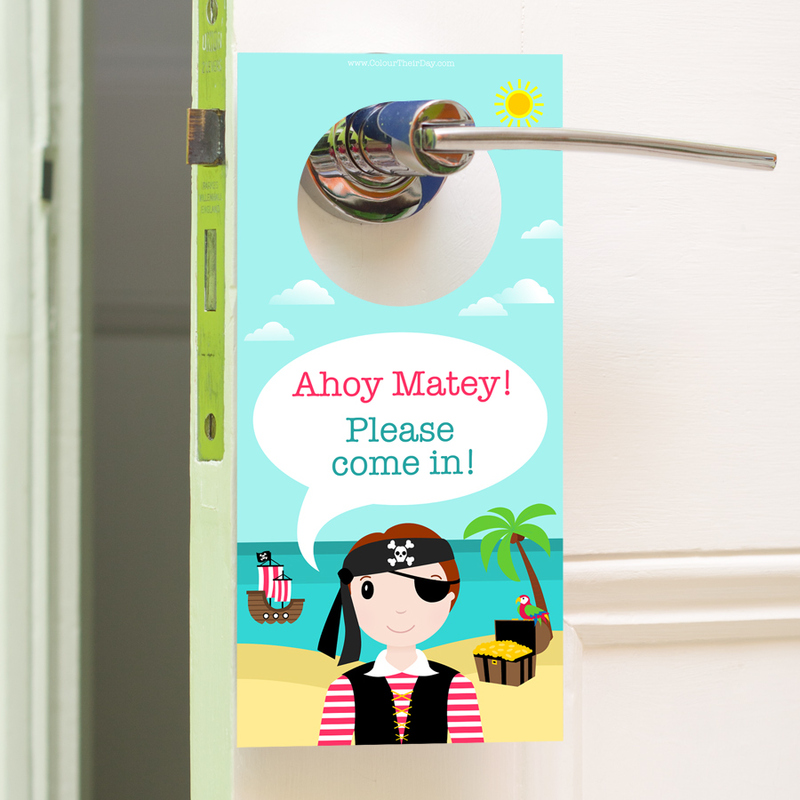 This pirate door hanger is ideal for a little boy who likes to shout orders to all of his shipmates at home! It will look really cool on his door and he will love to receive it as a gift. The door hanger is double sided so is very thick and robust. 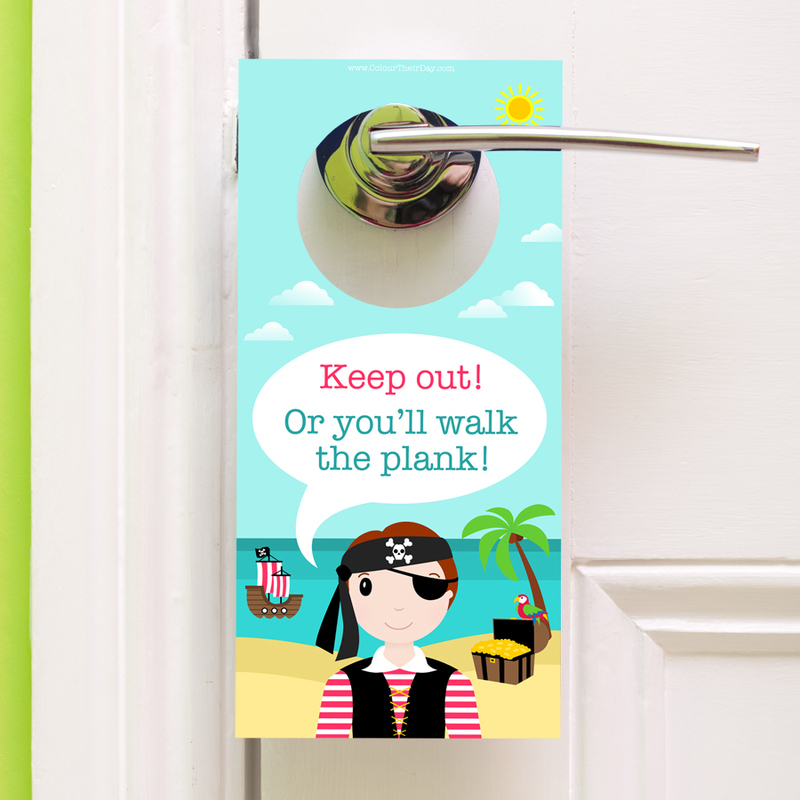 The design features a cute pirate, with the text ‘Keep out! Or you’ll walk the plank!’ on one side and ‘Ahoy Matey! Please come in!’ on the reverse side. All boys will love displaying either side on their bedroom door! 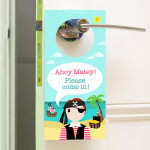 Be the first to review “Pirate – Double Sided Door Hanger” Click here to cancel reply.